What does that have to do with social media? Glad you asked! With the plethora of social media tools available to us today, I find it hard to show restraint and to avoid biting off more than I can chew…technologically speaking. There seems to be a significant amount of pressure to try to utilize as many social media tools as possible. Whether that pressure comes from peers, competitors or just a desire to appear to be on the “cutting edge,” the pressure is real and can lead to counterproductive corporate behavior. As with many things in life, restraint is much more difficult than indulgence. It’s easy to set up accounts with Facebook, My Space, Twitter, Vimeo, and Youtube, to launch blogs, wikis, podcasts, etc. It’s much harder to evaluate what your business needs to operate effectively and engage your constituents/customers and then to start slowly, launching only what you can staff and keep up-to-date. Managing social media requires an ongoing commitment to staff, time and resources. Static pages, out-of-date updates, and incorrect information can frustrate clients and send potential customers scurrying to other more current sites. With that in mind, this blog is really a reminder to myself. 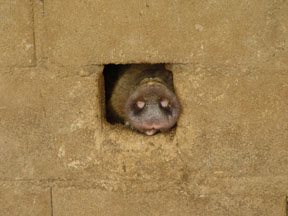 When it comes to social media tools, it’s not wise to try to fit a round pig in a square hole. Use what fits, but only what fits…the proper tool for the job at hand. Nice blog. Love the pig pic. Will follow with email.